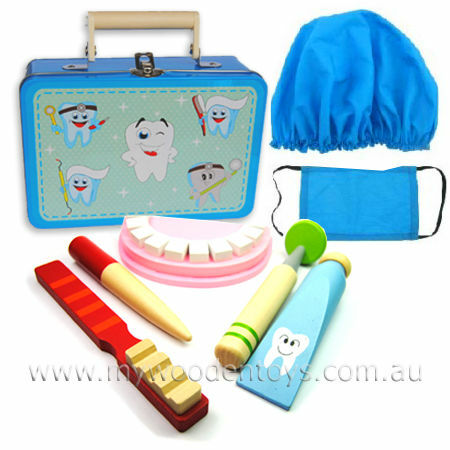 Dentist Tin Suitcase Wooden Playset is a tin suitcase filled with everything you will need to start work as your dolls and teddies dentist. cloth mask and hair cap. This is a fantastic playset and a lovely introduction going to the dentist. We like this because: "very unique toy and well thought out"